More great reading this month for the dog days of August. Lyn Lifshin returns, along with Hobie Anthony, M.E. McMullen, Jake Christie, Adam Moorad, Clinton Van Inman, James H Duncan, Caroline Misner, Amit Parmessur, and Kem Joy Ukwu, with her first published story. 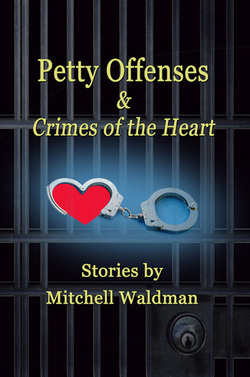 We're excited to announce that Fiction Editor Mitchell Waldman's short story collection PETTY OFFENSES AND CRIMES OF THE HEART will be published by Wind Publications August 15, and now may be pre-ordered through the Amazon and Barnes and Noble websites. "The stories in Mitchell Waldman’s Petty Offenses and Crimes of the Heart startle a reader with sudden, uncompromising insight. They seem ordinary people engaged in ordinary lives until betrayals, accidents, and misfortune put the puzzles of their weak choices and unfair chance into stark relief when they are left with a kind of clarity they might have been happier not to have...."
"In Mitchell Waldman's PETTY OFFENSES AND CRIMES OF THE HEART, subtle paradoxes and paradigmatic shifts undermine the reader's sense of stable themes.... Waldman's writing stays tight, even concise, and by not calling attention to itself all the more reveals everyday life as taking place on a far grander scale than we imagine." "Waldman gives the reader a full buffet of crimes and offenses; from large to small, physical to mental and subtle to spectacular. 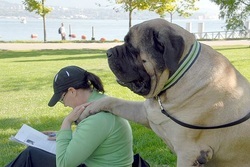 There's something to chew on and sink your teeth into."